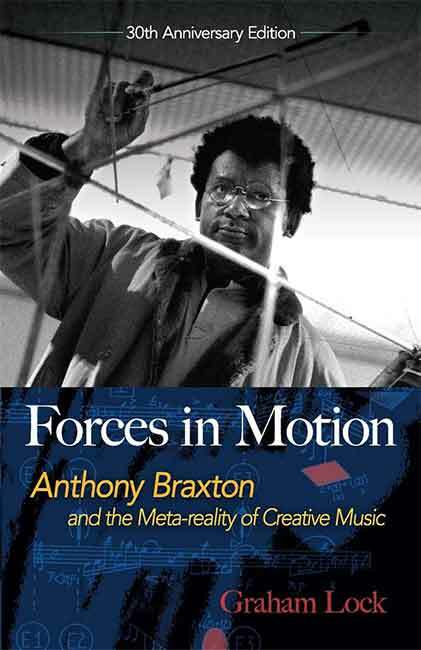 Graham Lock’s Forces in Motion was first published in 1988, at a time when there was a real buzz around Anthony Braxton and his band. His quartet undertook a successful tour of the UK in 1985 and were playing various hip venues such as The Knitting Factory in New York, to enthusiastic crowds and great reviews. It was like a second coming. Braxton had emerged from Chicago’s improvised music scene (membership of the AACM: Association for the Advancement of Creative Musicians) via Paris (the CCC: Creative Construction Company) several years before and landed a major record deal with Arista, who released a number of duet, solo, small group and creative orchestra records in an attempt to make Braxton some kind of crossover star. They marketed him as a black outsider musician, as a wise yet amiable professor (polo neck sweater and a pipe), and as the missing link between improvisation, jazz, Miles Davis and classical music; but it didn’t really work, and Braxton returned to relative obscurity, small record labels, and a cult following. But by 1985 the quartet Braxton brought together – himself, plus Marilyn Crispell, piano; Mark Dresser, bass; and Gerry Hemingway, drums – turned out to be a superb group, who offered an almost accessible route into Braxton’s diverse and complex music. Writer Graham Lock went on tour with them and his book intersperses road trip conversations with concert reviews, and in-depth interviews with Braxton and his band about the nature of his radical music. Almost two decades into the 21st century and Braxton has moved on through various phrases of his career involving operas, ensemble pieces and reinterpretations, as well as a variety of groups, bands and events. He has been the recipient of a MacArthur ‘Genius’ award (Fellowship), a university professor, and a thorn in the side of the music business, who still don’t know where to place him or how to market his CDs. (So much so, that he started his own record label, Braxton House.) There have been dozens of albums released, and even more live recordings on the web. More than ever, Braxton fans and listeners need a way to understand and contextualize what they hear. Enter Dover, with a new edition of Lock’s book. Anyone naively expecting a complete discography along with new chapters discussing the last 30 years will be disappointed however. There are two new afterwords, one by Lock, the other by Braxton himself, but that’s basically all; even the index hasn’t been updated to include the new writing. Most of this book remains the same. It’s an unusual mix of scenarios and approaches to music. There are discussions of corporate and social racism, sexism, new age mysticism and spirituality, group dynamics, the nature of sound, approaches to composition, and more. Sometimes it’s personal, sometimes it’s ridiculously all-encompassing. Sometimes, Lock fails to pick up loose strands of thought or question the more outrageous claims occasionally made by Braxton. He swallows some of the myths of Afro-centric civilization whole and nods wisely at Braxton’s squiggles and jottings on the page. But Lock is also a lively and inquisitive writer, with a keen ear, an open mind, and an ability to describe and write about what he hears. Sometimes he pins down the band members and makes them talk about what they think they are playing, how and why they are playing it, how the (often visual) scores or instructions inform the music, how it is that almost any of Braxton’s music at this time can be layered over ‘pulse tracks’. It’s rare to get such an insight into band dynamics, musicians or the nature of sound and music itself, and Lock’s book remains an outstanding work in the field of jazz, music, composition, sound and psychology. 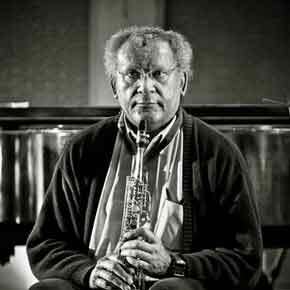 It may focus on Anthony Braxton, but Forces in Motion spirals out into a much wider and engaging world. This entry was posted on 6 October, 2018 in homepage and tagged Anthony Braxton, Dover Publications, Forces in Motion, Rupert Loydell, the Meta-Reality of Creative Music, Unsung Mysteries. Bookmark the permalink.